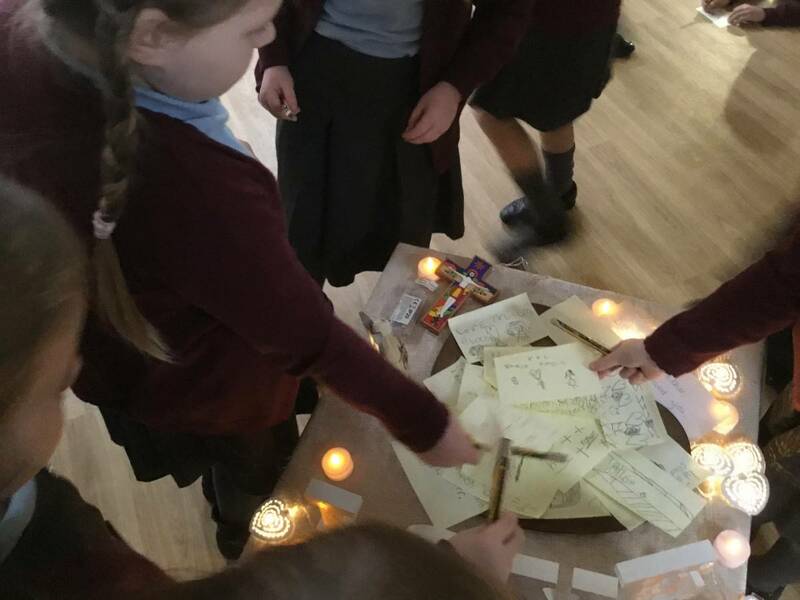 At Our Lady’s, Collective Worship is recognised and valued as more than just a legal requirement. 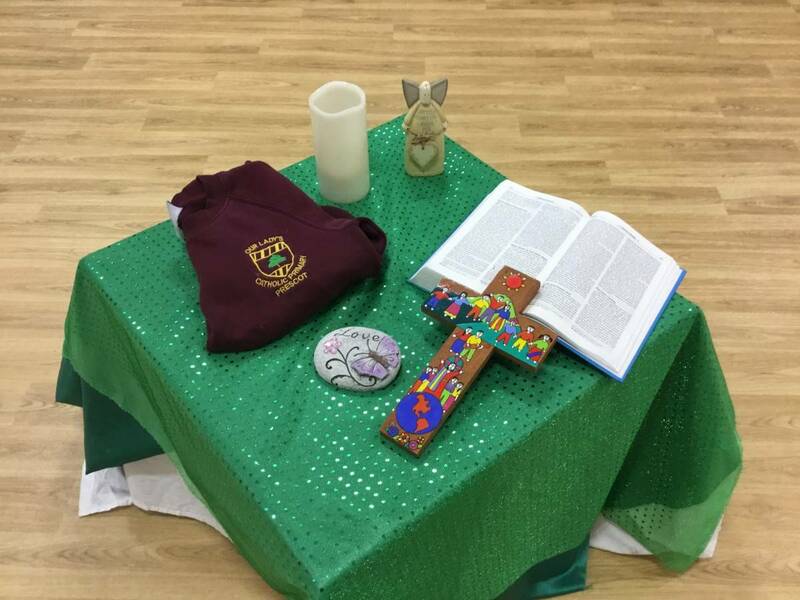 It is central to Catholic Education and forms an essential part of the school’s overall provision for prayer and worship. 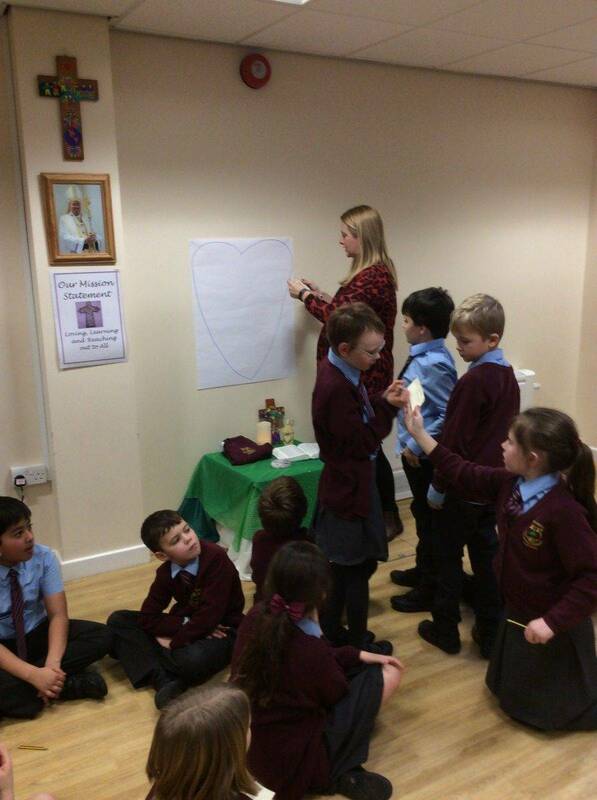 reflecting the liturgical tradition of the church and having Christ at its heart. 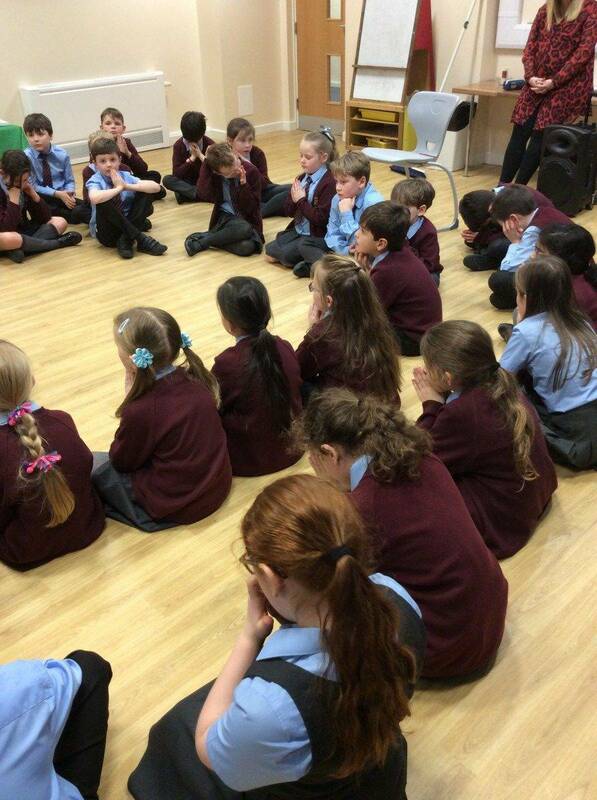 Each day children gather for worship, whether it be whole school, key stage or as a smaller year group focus in class. Children are encouraged to lead others in their worship and are given opportunities to do so. Our mission statement is at the centre of each worship and children at Our Lady’s are passionate to share the message of God through everything they do. 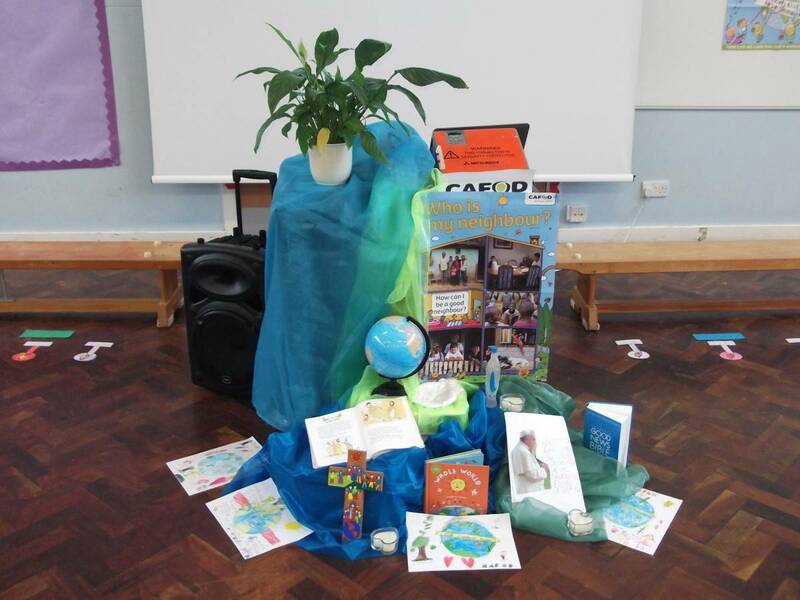 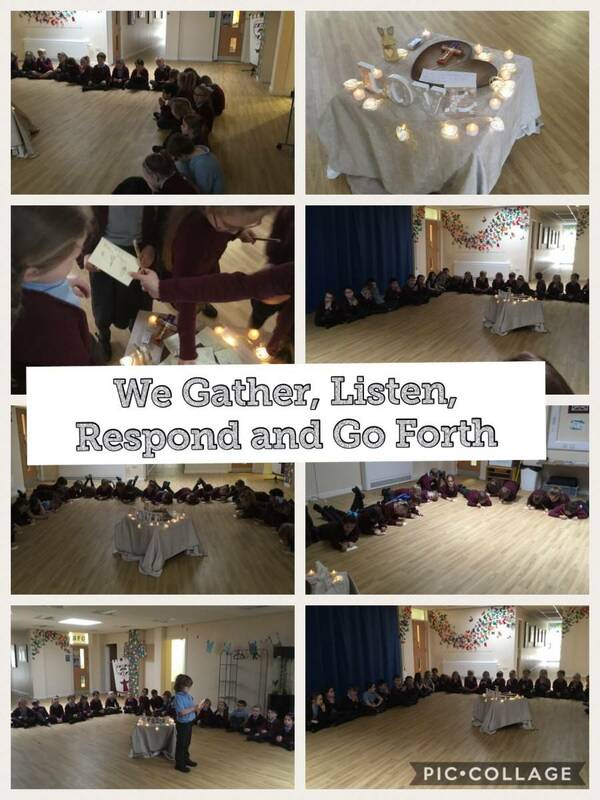 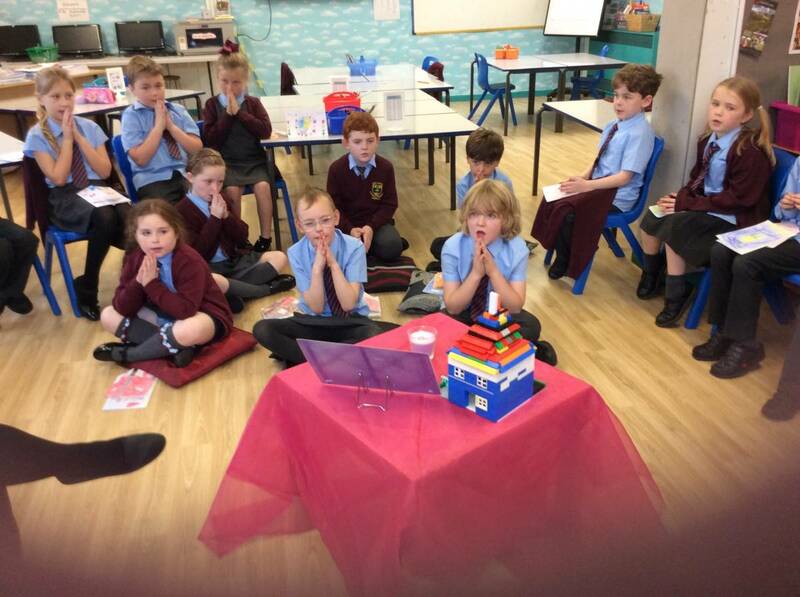 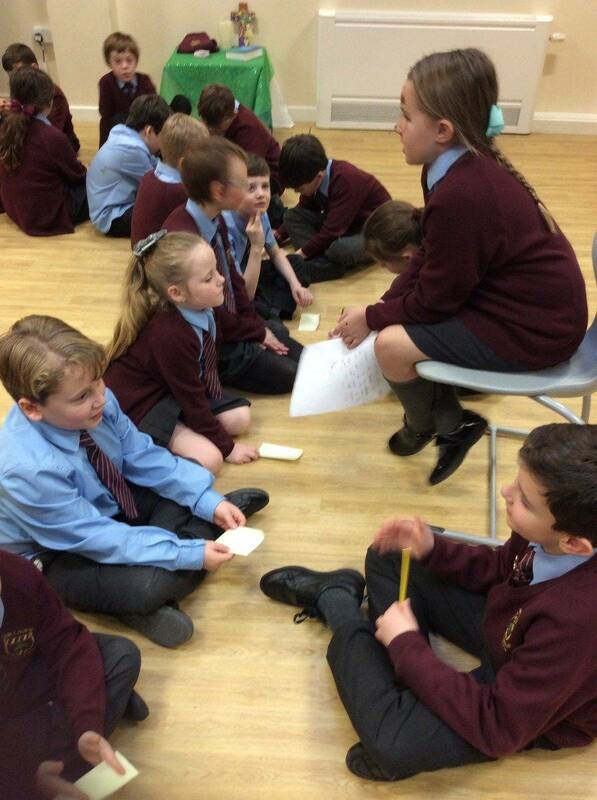 We have recently had the pleasure of sharing Collective Worship with children and parents together here in school. 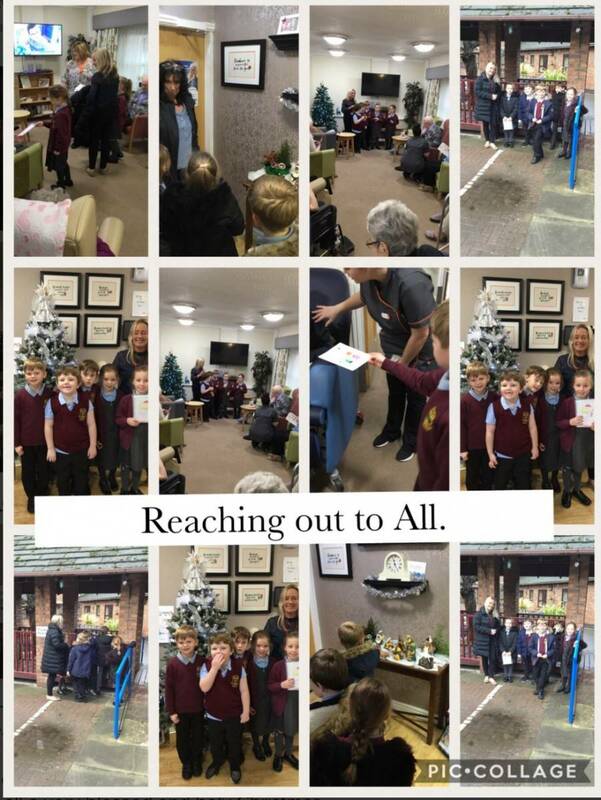 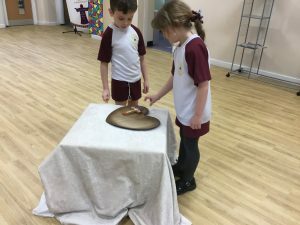 Key Stage 1 parents were welcomed to experience a Collective Worship based on the theme of thanksgiving with their children. 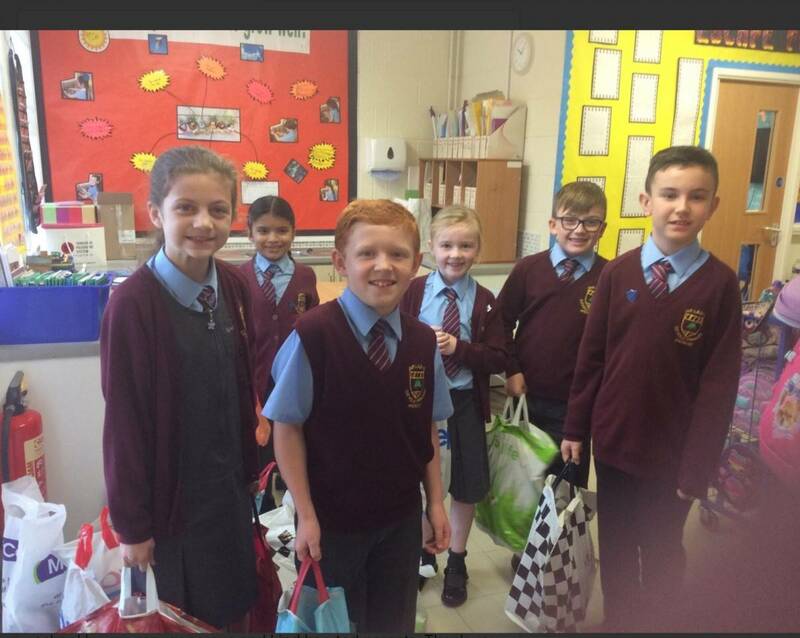 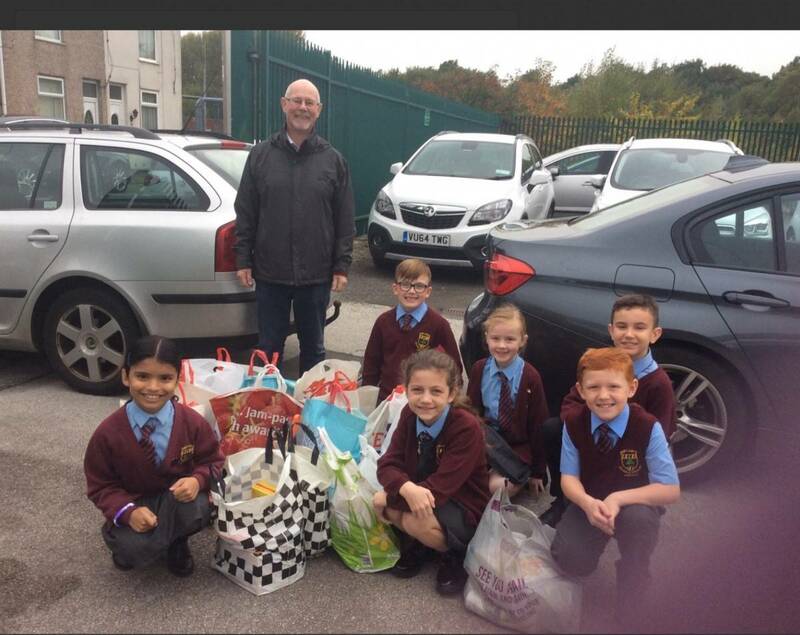 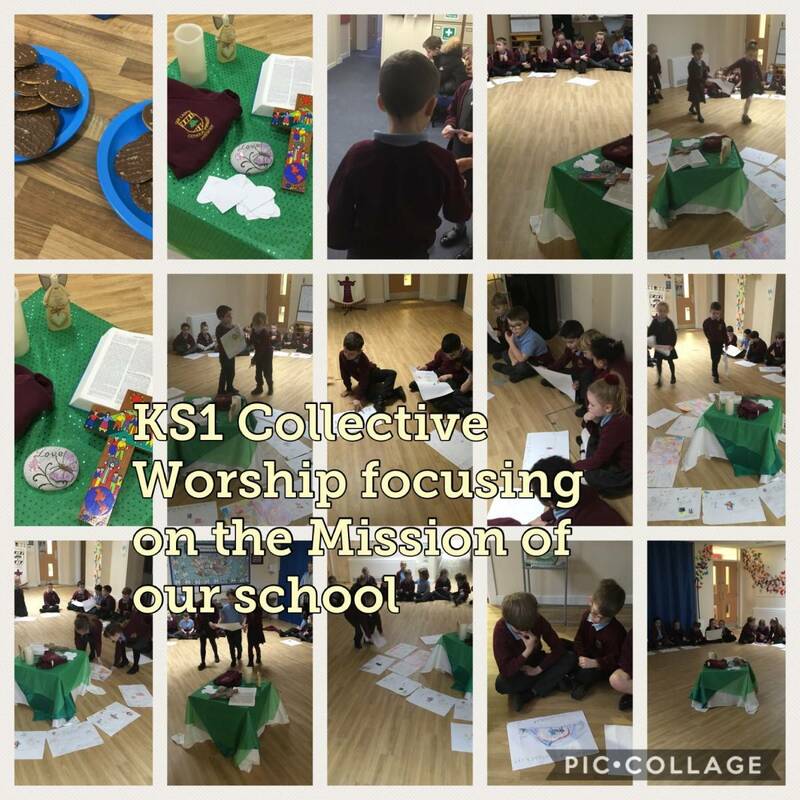 Our children enjoy their role in preparing and delivering Collective Worship. 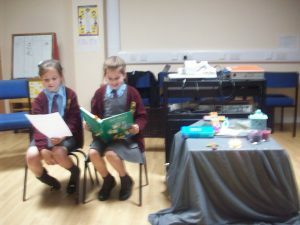 Here are two Year 2 pupils choosing the items for our focus table. Above, two Year 6 pupils reading the scripture of the day. 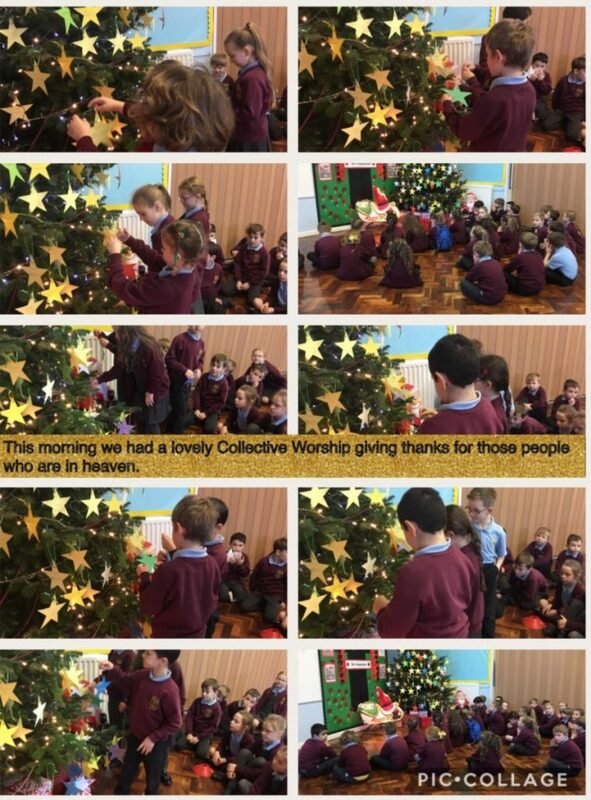 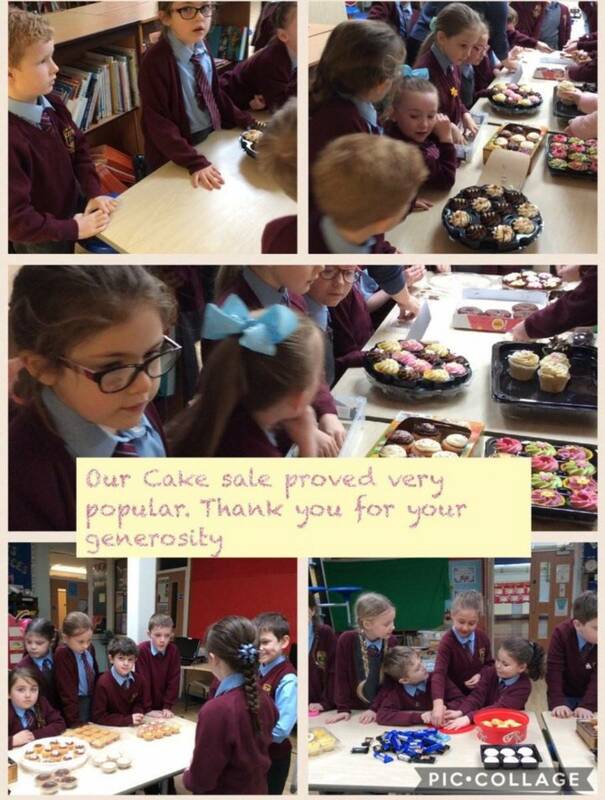 Our Collective Worships are special times in the school day. 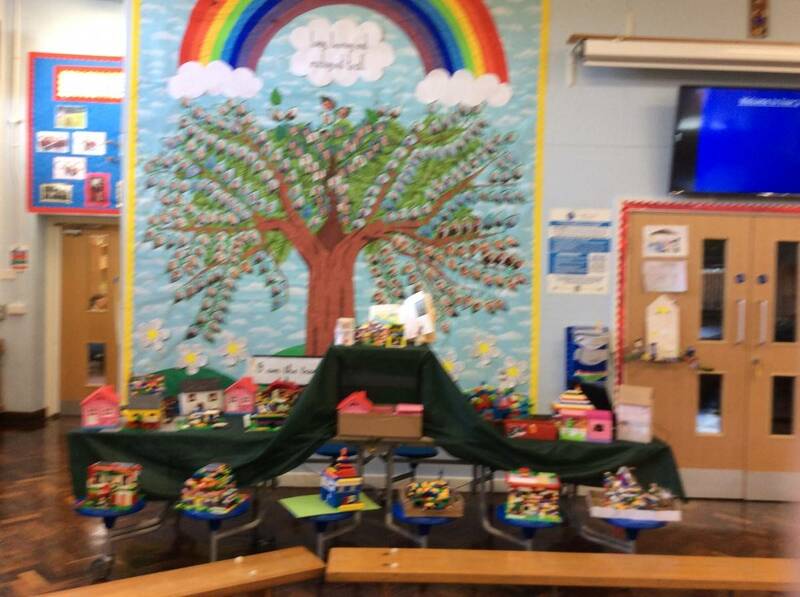 We warmly welcome family members to join us throughout the year.